Hydraulic valves are a vital part of any hydraulic system because they regulate the flow of fluids from one component to another. Without quality valves, you simply won’t have the precise fluid control required to get optimal performance from your equipment. 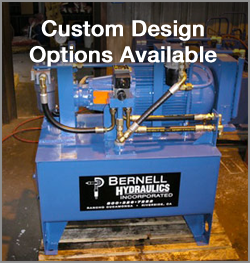 Fortunately, you can get high-quality Parker hydraulic valves in Norco CA from Bernell Hydraulics and enjoy better, more reliable performance from your valves. Parker’s long history in the hydraulic parts design and manufacturing business makes them a natural choice for all your hydraulic parts needs. Parker hydraulic valves in Norco CA are just as well-made as their other, more dramatic parts offerings. Some notable Parker innovations in the field of hydraulic valves include Colorflow valves and electrohydraulic valves. Parker offers valves for just about every application, from industrial fluid control to mobile applications like harvesting heads, snow plows, and forklifts. Parker’s mobile valves are especially rugged, which enables them to withstand the shocks and impacts that come with mobile applications without losing their ability to properly control flow and pressure. If you’re interested in trying Parker hydraulic valves for the first time, one of our knowledgeable reps will be happy to walk you through their features and benefits in detail.